A 1985 Porsche 959 driven in the Paris-Dakar Rally and a 959 Prototype will be on offer at the RM Sotheby’s Porsche 70th Anniversary Sale. 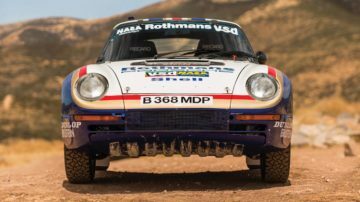 RM Sotheby’s announced that a 1985 Porsche 959 driven by René Metge and Dominique Lemoyne in the Paris to Dakar Rally will be offered for sale at the RM Sotheby’s Porsche 70th Anniversary auction in Atlanta, USA, in October. The car is one of only three built by Porsche for the 1985 race. It is the first Paris-Dakar 959 ever to be offered in a public sale and has a presale estimate of $3,000,000 to $3,400,000. 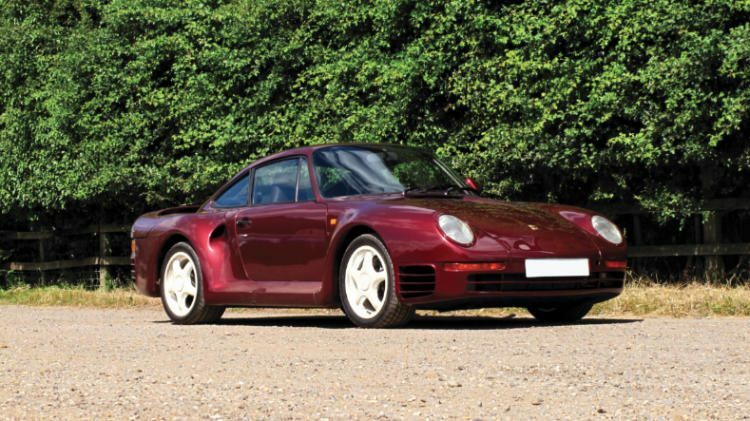 In the same sale, RM Sotheby’s will also offer a ruby red 1985 Porsche 959 Prototype – the only one of 12 prototype produced that is believed to be in running order. It has a presale estimate of $1,300,000 – $1,600,000. 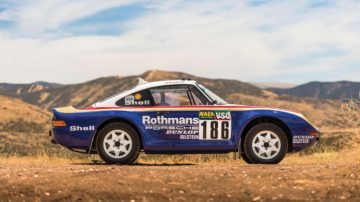 Two very special early Porsche 959 cars have been announced for the RM Sotheby’s Porsche 70th anniversary sale: a 1985 Porsche 959 Paris-Dakar Rally car and a 1985 Porsche 959, F7, prototype. 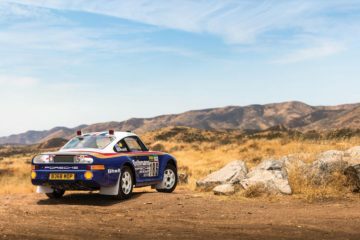 “It is fantastic to be able to offer one of the very few 959 Paris-Dakar rally cars at auction, especially at our Porsche 70th Anniversary sale,” says Alexander Weaver, Car Specialist, RM Sotheby’s. “Just six of these impressive machines were ever built, with five examples surviving and perhaps a mere two or three, including this car, in private hands. The Paris-Dakar presents in as-raced, highly original condition, and is being commissioned to complete running order prior to the sale in October. The 1985 Porsche 959, chassis 010015, estimate $3,000,000 – 3,400,000, is one of only three built for participation in the 1985 Paris to Dakar Rally. None of the cars finished the 1985 rally but three new 959s would be built for the 1986 race and finished first, second and sixth. One of just three examples built for the 1985 Paris-Dakar Rally—thanks to the encouragement of six-time Le Mans winner Jacky Ickx who finished the Paris-Dakar race in sixth place in a Porsche Type 953 911 in 1984—the model would serve as a 959-development prototype, representing Porsche in the most grueling rally of all. These three cars were equipped with the naturally aspirated 3.2-liter Carrera engine, however were fitted with the suspension, modified four-wheel drive system, and body panels developed for the new 959. Chassis no. 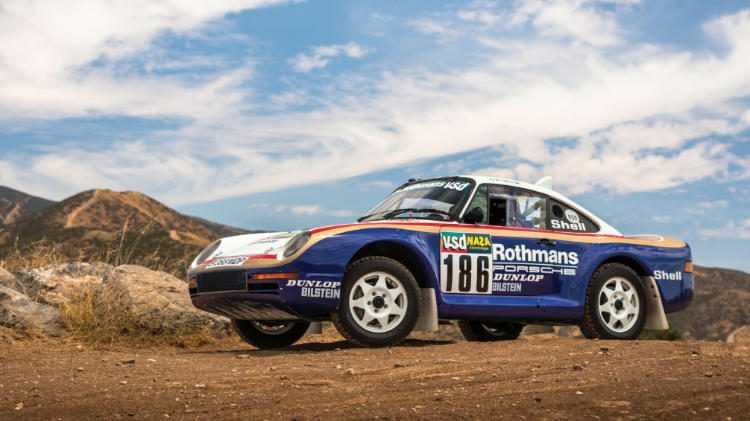 010015, the example set for RM Sotheby’s auction stage at the PEC Atlanta, was driven in the 1985 Paris-Dakar as #186 by René Metge (winner of the Paris-Dakar in 1981, 1984 in a Porsche Type 953 911, and 1986 in a Porsche 959) and Dominique Lemoyne. Of the 552 entries in the rally, just 146 completed the 14,000km race. Unfortunately, 010015 retired due to oil line failure, while the other two 959s were involved in accidents. Though the car on offer did not finish the race, it certainly served as a testbed for the three 959s entered by Porsche in the 1986 Paris-Dakar, which dominated the event, finishing 1st, 2nd, and 6th overall, proving the incredible potential of the model. Following its retirement from racing, the 959 has been shown and used regularly at vintage events across the U.S. and Europe, including appearances at the Goodwood Festival of Speed in 2004-2006 under former owner Jacky Ickx, at the Royal Automobile Club in London, and at The Quail: A Motorsports Gathering, where it won Best in Class in 2008. Offered from long-term ownership in a private collection of important sports and vintage race cars, this 959 Paris-Dakar played an integral role in the development of the original Porsche supercar, and is one of the most iconic rally cars of the 1980s. The first example to ever be offered for public auction, the 959 is estimated by RM Sotheby’s to bring $3,000,000 to $3,400,000 this fall. In addition to the Paris-Dakar, RM Sotheby’s will also present a 1985 Porsche 959 Prototype, no F7, estimate $1,300,000 – $1,600,000. Prototype no. F7 of 12 ‘F’ series prototypes was finished in Ruby Red with ‘Triple Silver’ interior and trimmed to Komfort specification without the adjustable ride height featured in the later cars. Believed to be one of just three or four prototypes to survive and perhaps the only example in running order, F7 was used for electrical systems and hot weather testing in period, making it as far as San Francisco and Australia. Additional features and marked differences unique to the Prototypes include the earliest rear wing type, very rare prototype wheels in hollow magnesium and finished in pearlescent white, and LHD prototype headlights which are entirely different to the production versions. Offered from its long-term owner of more than 15 years, RM Sotheby’s estimates the Prototype carries a pre-sale value of $1,300,000 – $1,600,000. 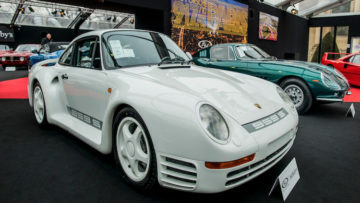 The Paris-Dakar Porsche 959 is likely to set a new model record for a 959 sold at public auction. 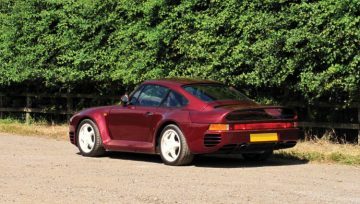 Porsche 959s started to achieve results above a million dollar at a regular basis since 2014 with at least 18 selling for more than a million dollar at public auction since. Prices for examples in less pristine condition, or high mileage cars, have been weaker at recent auctions. Gooding sold a 1988 Porsche 959 Komfort for $1,732,500 at Pebble Beach in 2015 while a rarer 1988 Porsche 959 Sport sold for $2,093,280 at RM Sotheby’s Paris 2017 sale to set the current 959 model record.